Prayagraj Kumbh has attracted people from all walks of life in big numbers. 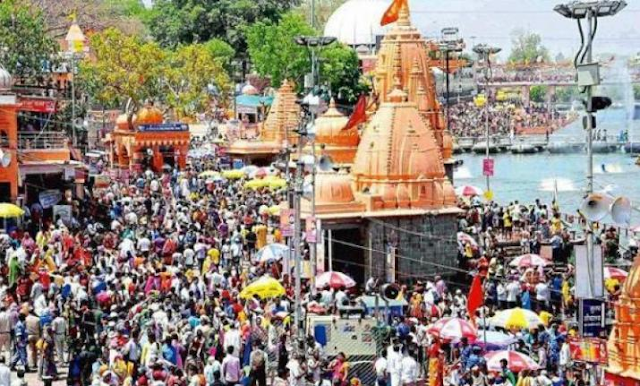 Prayagraj district administration has closed all educational institutions for three days incluy14,15 and 16 January up to class 12 and has also advised degree colleges to close them to avoid inconvenience to the students in view of great rush on fist bathing festive of Kumbh. Entry of buses into the city has been restricted and makeshift bus stations have been developed at all seven entry points of Prayagraj town. Eight kelometre long bathing that's have been developed at Sangam for holy dip and similarly several other chats are also developed on the banks of river Ganga in different sectors of the Mela. About 12 crores pilgrims and tourists are expected during the Kumbh. Massive security arrangements are in place for smooth passing of first bathing festival and Shahi Snan.